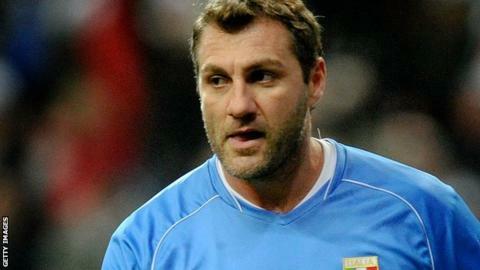 Former Italy striker Christian Vieri is planning to come out of retirement aged 43 to play in the Chinese Super League. Vieri, who retired in 2009, was the world's most expensive player in 1999 when he moved from Lazio to Serie A side Inter Milan for £32m. He scored 103 goals in 143 matches for Inter and made 49 international appearances, scoring 23 times. "Huge news - Bobo is back. I've decided to go play in China," Vieri said in an Instagram video. Brazil forward Hulk made a record £46.1m move to Super League side Shanghai SIPG in June as Chinese clubs spent almost £200m in their transfer window.